Are you going to visit Tulum? Top 5 activities to do there! Tulum is one of the most impressive ruins in the Mayan Riviera; its incomparable view to the Mexican Caribbean makes it the third most visited archeological zone in the country. But if you’re going there, you can enjoy more things! After Chichen Itza and Teotihuacan, Tulum is the most frequented ruin for national and foreign people, but this is also because there are a lot of attractive places to visit! At what time is advisable to visit Tulum? The most advisable is to arrive really early to Tulum. You can access since 8 am so, if you wake up early, you can walk the area without hurry and enjoy it with a better temperature. Tip: the last access is at 4:30 pm, so you should arrive earlier than that. Here you can find 5 must-to-do that you have to experience during your visit to this historical treasure. 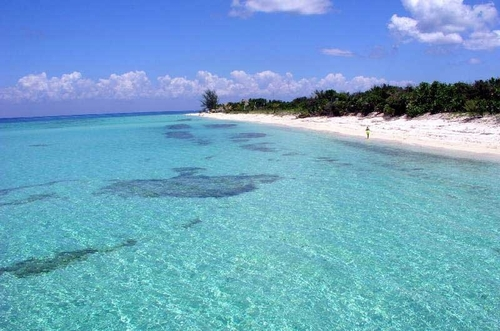 Playa del Paraiso is considered as one of the most beautiful beaches in the Mayan Riviera, and it has everything to be it: white, thin sand; turquoise sea, and an amazing view of the ruins. Besides sharing the beauty and mysticism of the cenotes, in this one you can swim, snorkel or dive, which you can’t do in everyone. The cenote’s water is like crystal and it has stalactites and stalagmites, and the cave is only lightened by natural light. It only has 10 meters deep, nevertheless, be careful while diving there. You can hire a tour or experts to rent you the equipment and watch you. Recognized as one of the best aquatic parks in the zone, it’s only 18 km away from Tulum so, if you want to go there after visiting other attraction, it will only take you 20 minutes to arrive. 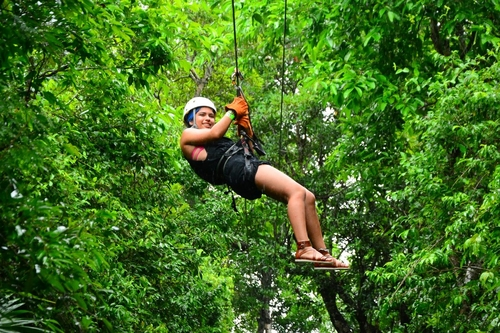 Here, you can live experiences like swimming with dolphins, walking trough a hanging bridge that connects a river with the sea, or flying Chuch Kay style, helped by lianas. Your fun is guarantied here! 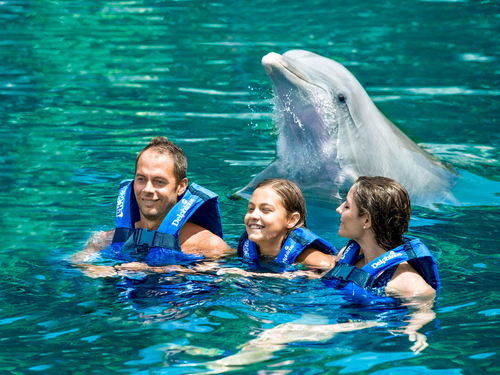 If you want to do everything, read more about an all-inclusive package to Xcaret, with a lot of activities, including swimming with dolphins. 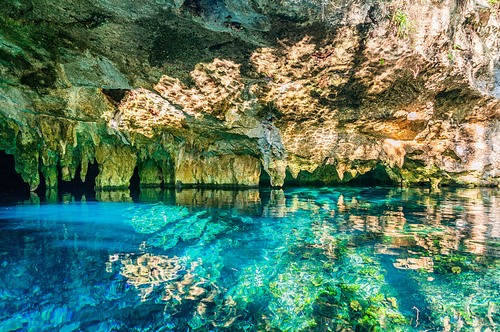 Underground river: explore a transparent, magical and antique underground river. Cave: discover one of the 3 most impressive cave walks in the whole world. Coba is not that close to Tulum, since you have to take a 42 km ride from this city, but is completely worth it. Why? Because it used to be a religious center that preserves the Mayan mysticism and its culture. 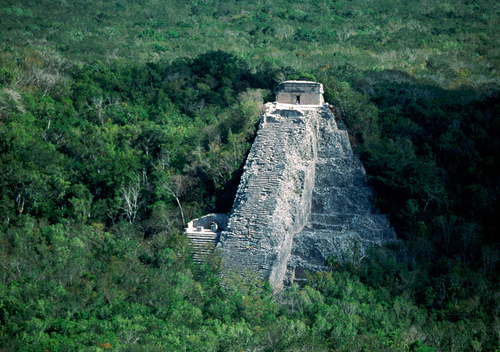 Cobá is open everyday from 8 am to 5 pm. However, after 4:30 pm nobody can enter the place. 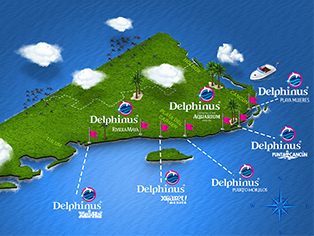 As you see, Tulum has plenty to offer, from swimming with dolphins to flying in a zip line. Don’t miss the opportunity to discover this amazing destination!